There’s only one way to smoke a ham. That’s the old fashioned way. Our Daisyfield hams burn real hickory wood chips to smoke all of the full flavor into these delicious hams. Our line of Old Fashioned Hams have built a reputation since 1947. 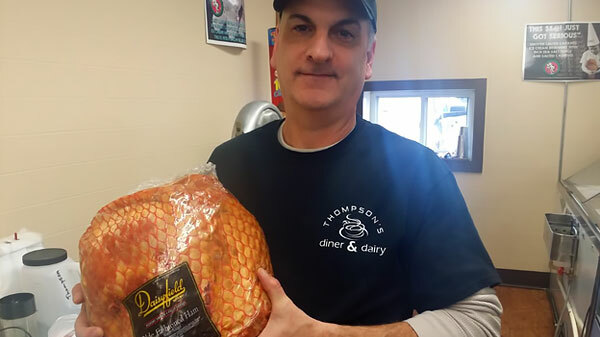 That’s why you can count on us to deliver a quality smoked ham for your next holiday or special event. We use these wonderful smoked hams in our made from scratch ham and bean soup as well as our breakfast ham steaks. J.H. Routh Packing Company is a USDA inspected plant. Food Safety Inspection Service employees monitor production during processing hours. Plant Quality Control Supervisors (QC) constantly monitor room and product temperatures, sanitary practices of employees, general sanitation of contact and non-contact surfaces, cooking of smoked meat, packaging, and all areas of the plant that may affect wholesomeness of the final product. Microbiological testing is completed regularly by plant QC supervisors, government inspectors, and outside micro labs. Every precaution is taken to protect our brand and to make sure our customers receive the safest product possible. J.H. Routh Packing Company has an excellent track record for safe product and we are committed to maintaining that name.